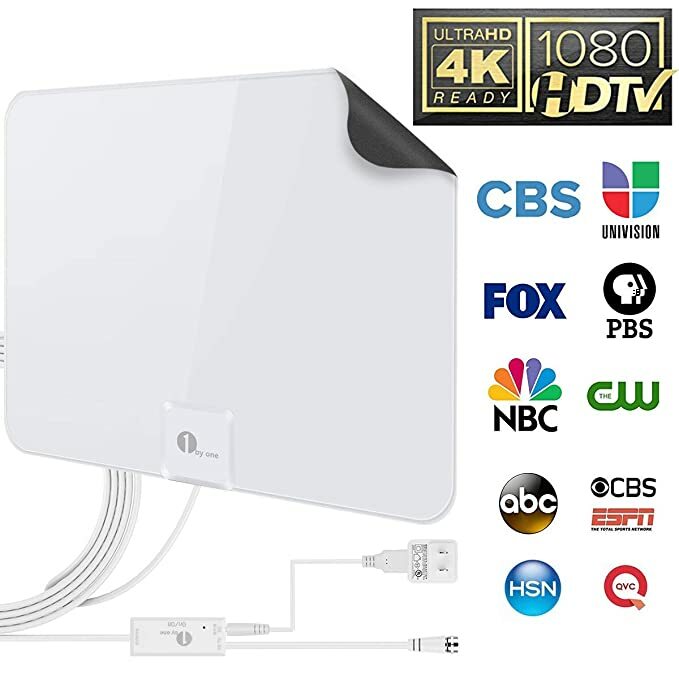 When you are making the move to cut the cord and throw those cable bills to the curb, one of the first things you need to do is buy the best HD antenna that will work for your setup in your home. This will allow you to receive local UHF/VHF digital channels over the air that broadcast for free and watch live tv. 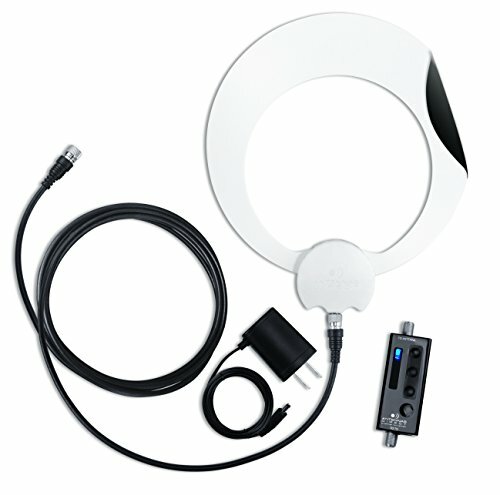 What I want to do here is to give you a list of the top rated indoor TV antennas that you can buy along with listing out what each of them offer. This will save you a ton of time trying to search around, reading customer reviews to figure out which one will have the best performance. Out of everything I looked at below, the Winegard is the one of the Best Indoors Antennas to start with. It really does have a long range for a flat antenna! By far the best guy out there for a 50-mile range plus some! Note there is also a newer style called the Flatwave air. You'll see both options when you click on the button below. The most important point to remember is that the line of site to the closet tower really determines how well the hd digital tv antenna will work and how far you can be from them to receive a signal. If you are sitting behind a ton of trees or buildings you will need a long range amplified antenna. As we get started our most recommended indoor amplified antenna is the winegard FL5500a. 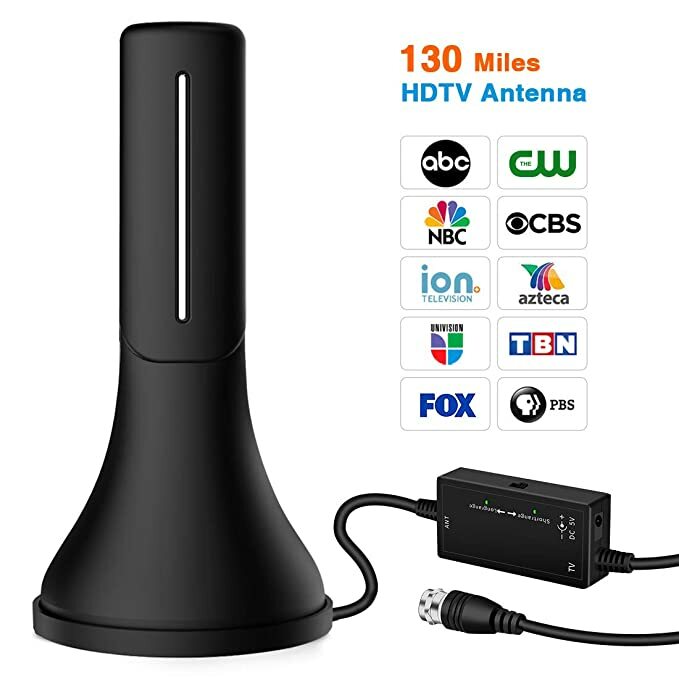 So, don't leave the page without reading more about it as you go through our top 5 list of the best tv antennas for cordcutters. Let's look at how the indoor antennas works. 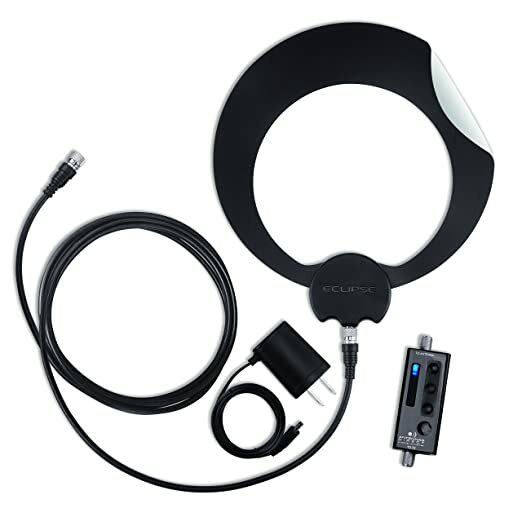 There are various styles that the come in but most of them are actually flat and have a coax cable attached to them that goes into your favorite dvr recorder or directly into your TV to receive over the air hd channels that you can receive for free in your area that you normally would pay for. You'll find that the digital antennas will lay flat for storage, hang on the wall, hang on the TV or that they will stick to a window. They tend to come in a 25 mile or 50 miles version. The only difference is that you will pay a little more to get the longer range. This will be necessary for some of you if you are a long ways from the closet tower. It will come down to a personal preference as where you choose the location to store it. 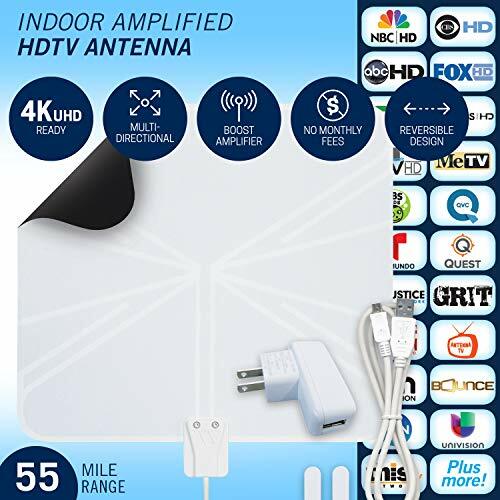 The most important factor to remember is that you want the indoor TV antenna to have the most direct path pointing toward the local towers that are sending out the HD channels over the air. For some of you, you will remember the old days where we used the long rabbit ear antennas. You would literally point them in different directions to get a better reception and even go to the point of putting tin foil on it. lol The same old rule applies here as well although it is much more forgiving in the way hd antennas now receive the signals. Just do your best to get it into position where it has the best chance to get good reception. It is really easy to experiment with it by moving it around. Here are two gold nuggets for you that will help you find the broadcast towers near you and which local tv stations you can pick up. It will give you the distance from your location and the degree at which to point your antenna at. You can use antennapoint.com and antennaweb.org that will let you know where the towers are and what type of signal strength you should consider to get the local channels you are after. If you are a long ways from the towers then you need to consider an outdoor antenna or to make sure you buy the best indoor antenna with the longest range. What if the HD Antenna Does Not Work? Well there will be some of you where the best indoor version simply does not work and you are forced to use an outdoor antenna. This was my case personally. My broadcast towers were 28 miles away. I could not get a solid connection in my house to watch the channels. My house has really think walls and I even have trouble connecting to my wireless router with any long distance. I had no choice to go with an outdoor model. I went with the ClearStream 2V outdoor model and sat it on a tripod outside and has turned out to be one of the most effective outdoor antennas I tried. That literally made the difference and I have been watching cable free television for more than 3 years now. The Mexonga HD Antenna is built with the newest technology for 2019 sporting ultra strong amplifying technology. With a built in Smart IC Chip it boost the digital signal. What's really awesome is that it filters out cellular and FM signals for the clearest picture. This is hoping to set a new standard in the range it can receive with the signal boosting chip and eliminating other signal interference from radios and phones. On top of that it's portable so you can take it on fishing trips, camping trips, tailgates and of course in your RV if you don't want to only use it for indoors. The most important point to remember is that the line of site to the closet tower really determines how well the hd digital tv antenna will work and how far you can be from them to receive a signal. If you are sitting behind a ton of trees or buildings you will need a long range antenna. 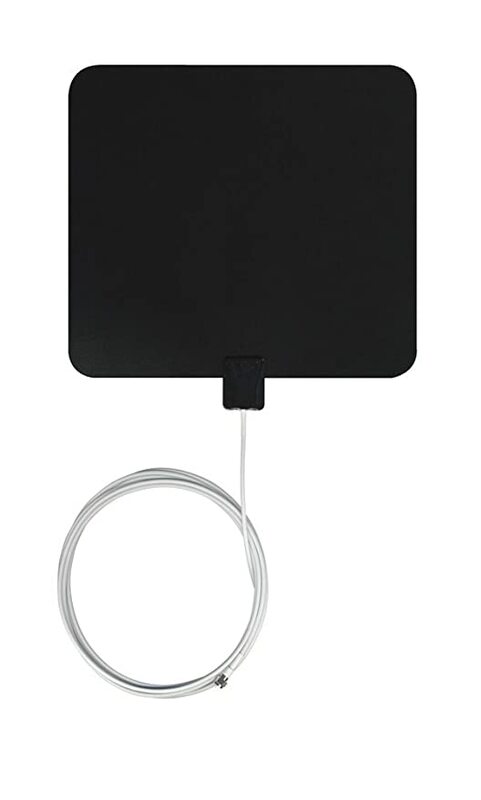 As we get started you our most recommended, best indoor antenna, is the winegard FL5500a. So, don't leave the page without reading more about it as you go through our top 5 list of the best tv antennas for cordcutters. First up is Amazon's own basic product line of digital antennas. They have the same flat design as other models mentioned in this article. It is paint-able just like the other popular models. 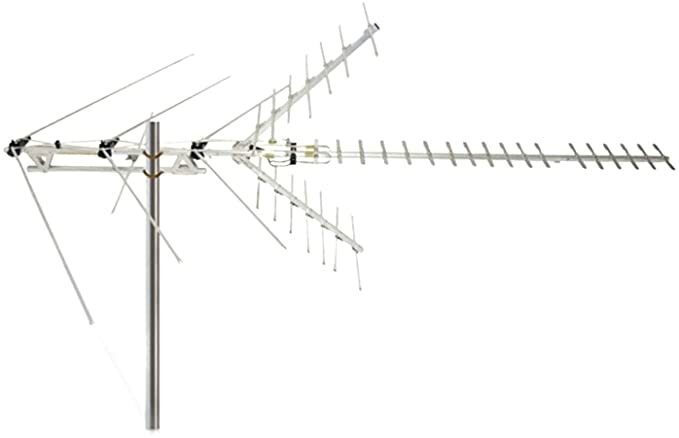 It is multi-directional just like the other top rated antennas we reviewed. So, that is great. It has a black and white backing which you can paint as well. Comes with push pins to hang it and velcro strips. The 50 feet model does come with an amplifier. It is usb based and also plugins into a wall. So, you can power it with your smartTV if you have one. It will only stay on when the TV is on. You see the same feedback about other 25 mile hdtv antenna versions. It works for some and not for others. Again it all comes down to your line of site when you are using those smaller versions. So, make sure you know the distance from your house to the towers so you pick the correct signal strength to get your local channels clear. There are many people very happy with it. So, it's not like I would not recommend this at all based on what I seen. It is priced lower than the winegard flatwave if that does matter to you. One comment worth mentioning is a gal had issues when using the amplifier. It actually distorted the picture. When you are really close to the towers this can totally happen. This is where you have to try it with the amp on and without to see what type of picture is better. This will happen with any indoor amplified antenna and is not specific to the amazonbasic. So, please keep that in consideration. 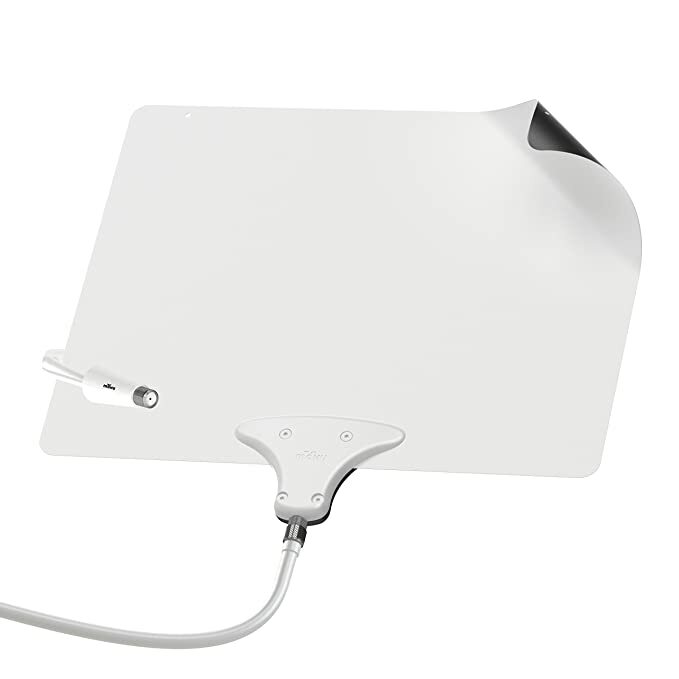 The Mohu Leaf is another 50 foot paper thin indoor antenna that also has a reversible black and white sides. What makes this unique over the winegard is that you can paint this. It's a nice feature because if you hang this on your wall you can paint it the same color to help conceal it. It is the flat paper thin model with reversible sides that you can paint to match walls. There is a 16 foot detachable coaxial cable included. It is Multi-directional so that you don't have to worry about pointing it in one direction. It's made in the USA and has a 1 year warranty. Comes with 4 stick pads to hang it. There is also a little hole to hang it with a nail in the wall. So, I put this in here because this is one that you will end up coming across when you do your research. You'll find that the comments about this are all over the place. When you read through the comments you see it didn't work, it's junk etc.. Keep reading through them as you will see people admit it wasn't the fault of the product but more along the lines of their surrounding around the house being blocked by trees etc.. It also seems like the ones that it did work for were with in 25 miles of their towers.. So, with that said, I would say if you are close to your towers this is worth a shot, especially if you want something to paint so it matches your wall color if you are going to hang it. If your towers are 25 miles plus out I would recommend the Wineguard antenna I talked about or the clearstream below. The Eclipse is designed is an Antennas Direct Clearstream product who are a very reputable manufacture in the industry you can trust. I actually have the Antennas ClearStream 2v 60 mile version outside my house and just love it. 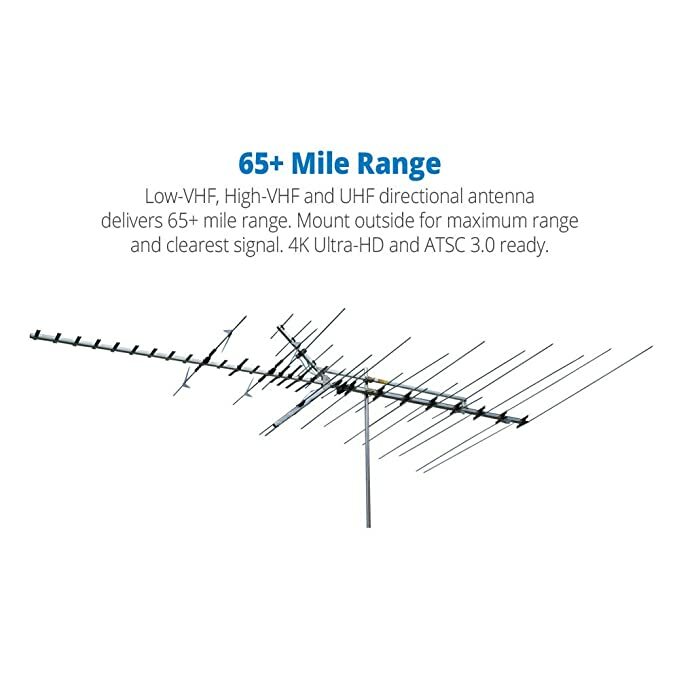 The Antennas Direct ClearStream Eclipse comes in a 25 mile and 50 mile model that. Both of them are all white so that they will match white walls when hung, which is what most of us have in our homes. The 50 mile model does come with an amp where the 25 mile doesn't. It is multi-directional which can receive the OTA signals from all directions. You can also paint this to match your wall color when hanging it. 25 version includes a 12 foot cable and the 50 mile version includes a 15 feet co-ax cable. For the amplified antenna it has a gain of 24 dbi max. The noise is less than 2db. In order to hang this, you simply use their sure grip technology that is built into the product. It will stick to living room windows, walls or a flat surface. You don't have to nail this to the wall or worry about adhesives to hang it. One customer living in a high rise in NY went through numerous brands trying to pick up the channels. He was using the RCA Basic, August DTA240/250/215 and the Mohu Leaf Metro with very little success. When he went off a recommendation by wirecutter.com he was super skeptical about the Clearstream Esclipse model. With this model he ended up getting 65 channels! He did admit he had to move the antenna around a lot until he found a sweet spot. He also tried it with the amplifier on and off to see how it worked in various locations. Once he found the spot he is one happy customer. There are 1000's a great comments about this as I would expect from this company. This is definitely a model I would recommend looking at. If you need yet more detail about it check out my review below. As it stands the 1byone 25 mile model is a best seller on amazon. There are over 7,000 comments to back up. 1byone is actually one solid color in black. It has to be one of the cheapest models we have reviewed yet in the 25 mile range. There is a 25, 30 and 50 mile version you can purchase. Very easy setup. 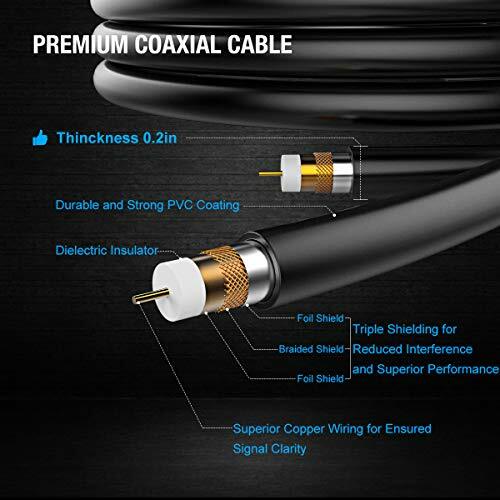 Rg6 cable connects to your dvr or Tv Ant in. Scan for channels and you are rocking watching TV. There is nothing but positive comments here. Everyone was pleased with it. They noted that the tape is very strong and had no worries about it falling down when hanging it. It was super easy to install and hook up. I know the 25 mile version is a best seller but you need to realize it doesn't come with an amp. 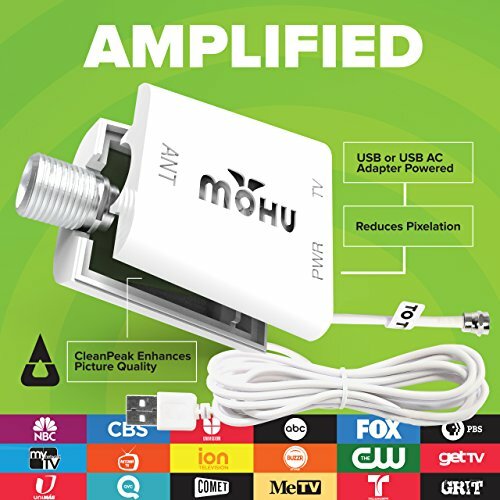 If you have a long cable run from your antenna to the TV you would use an amp that you can purchase separately. For the price, some people ended up buying one for the living room and their bedroom. 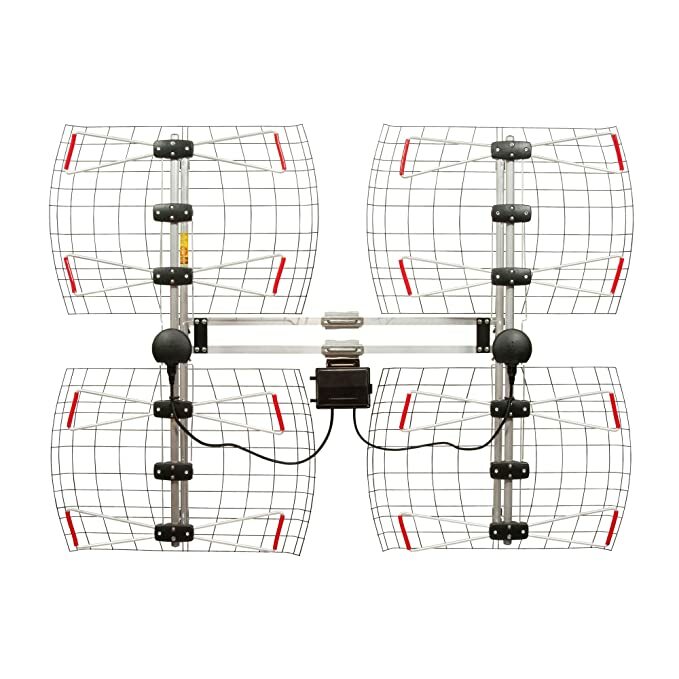 I want to specifically mention, the best selling 1Byone 50 miler clear antenna here too. This one is designed to be hung on the window because of it's clear design and grace strips. It has a bit of an designer art look to it as well. You should know that your best location to hang your this specific antenna was on the window before purchasing this. This winegard model is very thin and has a 50 mile long range, customers so it goes longer though. What is unique about this model is that it is reversible with one site being black and the other side being white. This will be of interest to some of you who are concerned about how it will look hanging on the wall or out in the open. If it goes up on the wall you will probably want to have the white side showing to blend in with your white wall. Contains an embedded amplifier with clear circuit technology. It does come with a 18.5 foot co-ax cable so you don't have to buy that separate. That power supply is USB powered. It plugs in the wall like normal but draws less energy and gives you options to plug it into a device that has a usb connection to charge it other than a wall outlet. It is also multi-directional which allows you to receive signals from all directions. It's 12"x 0.6 x 13 inches which is wider than the amazon basics version antenna to catch more signals. With over 3,000 comments on amazon this is definitely one of the best ones out there to consider buying. One lady had tried 3 indoor versions who live in Minnesota with no luck. She could never get the NBC affiliate station that was 35 miles away on VHF. She finally broke down and bought the Winegard and not only picked up that NBC station but picked up several other stations to keep her dream of cutting the cord alive! I loved how she hung it. She had a 6 foot entertainment center. She hung the antenna on the wall behind it with 3m stickers to keep it out of view but yet get great reception. Another guy was impressed that he was able to get a station 52.3 miles away. He had it hung 8 foot up in the air in his office. He was more impressed that the channel was still view-able even in a rain storm. A couple customers made comments that this out performed the Mohu Leaf version by a small margin. A few people made comments that is bigger than others. Well, that is why it gets a better range. You will also see that some people say it didn't work well. Take that with a grain of salt. If you are surround by a lot of trees or down in a valley you will not have great luck with the indoor version. Hopefully at this point you have enough knowledge about what to look for to buy the best hd antenna, what features that they have, how to hook them up and what range that you should buy. I have been through a lot of HDTV Antennas in the search of the best one. I will say that no matter how awesome the range it say it gets, you have to have a clear line of site or semi-clear line of site to the towers to get a great reception. 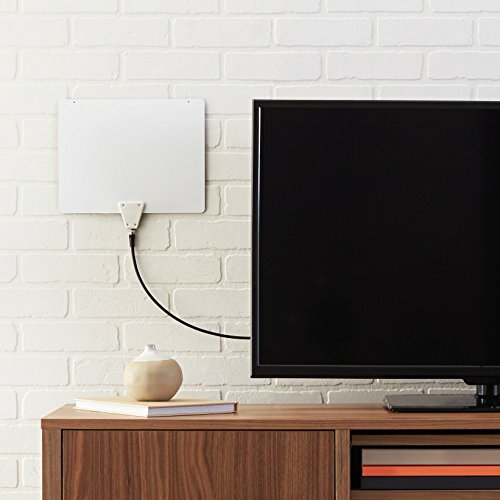 The other point I would like to make is that your thickness of the walls can play a part in how good your reception comes in or the placement of the Indoor HDTV Antenna. So, keep that in mind and pull the trigger to get started. If you have any questions please leave a comment below. My recommendation is to go with the Wineguard Ampliphied Antenna Here. It’s no surprise that Channel master offers one of the best outdoor hdtv antennas. The Channel master CM2020 has a high VHF Range of 100 miles. It picks up UHF and VHF hd digital signals. It’s dimensions are 90” x 60” x 22 “ that can easily be installed in your attic or on top of your roof. They recommend using a channel master amplifier with this setup for best results but honestly most of the time that is overkill. I would personally see how the reception comes in without using the channel master amplifier and then decide if you need to spend more money on it later. 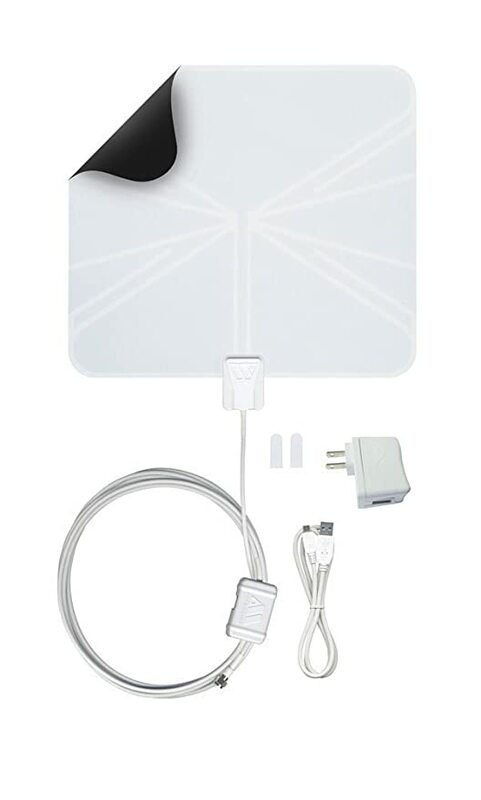 Winegard makes one of my favorite indoor hdtv antennas and are very reputable which is why I’m telling you about their 65 mile outdoor hdtv antenna model so you have other options to watch your local channels in HD for free, with a line of site to the towers for good reception. This mounts on your roof or will conveniently fit in your attic as well. The hardware is rust proof which has a zinc plate coating on it and the connections have a nice polyethylene cover to also help protect the weather. The downlead coupler snaps in easy running at 75ohms. The dimensions are 168” boom length of 110” and 33 inches high. Antennas Direct 8 or DB83 has a different approach to their build using a bowtie style with 4 small hdtv antennas wired together. It comes with an all-weather mounting kit and you can optional buy a 30 inch extender for it if needed. The UHF reception runs at 470mhz to 698 which can receive channels 14-69. It’s flexible and easy to adjust to tune it to the perfect angle for good reception. What makes this really different from the others is it’s 17.4 dBi gain utilizes breakthrough technology to reach out to receive hdtv signals so far way. This would be great for urban areas. You may place this on the roof or store it in your attic and also has the option to use an amplifier if you need more power. I know it can be confusing when you are trying to pick the best outdoor indoor hdtv antenna. I'm hoping what I have listed here will help you figure out which one is going to be the best one for you. If you questions drip me a comment below and if you want to more to read you and read about other cord cutting dvr reviews here.